The ongoing battle marijuana to legalize marijuana in America and in Maryland took another hit recently as Federal prosecutors have increased efforts to crackdown on medical marijuana dispensaries. This latest crackdown effort came at the hands of Federal lawyers and court papers rather than with the search warrants and guns of the DEA and FBI. No arrests were made in any of the latest anti marijuana push, but a strong message has been sent across the country that the Feds are not ready to reverse their position on marijuana legalization. On August 21 Federal prosecutors filed 3 lawsuits in Orange County Florida against property owners who rent their real estate to medical marijuana dispensaries. The property owners were told that they could risk forfeiture of their real estate if they continue to rent space to the marijuana dispensaries. Federal prosecuting lawyers also sent upwards of 60 letters to medical marijuana clinics in Orange County threatening criminal charges if the marijuana clinics continue to sell the drug. Orange County is not the only area being targeted by the Federal efforts to crackdown on medical marijuana as the Feds have been going after marijuana dispensaries throughout the Central District of California. Efforts to legalize marijuana and medical marijuana in Maryland have appeared to be gaining steam in the last few years, but stories like this serve as a reminder that marijuana is still illegal under federal law. The feds can continue to enforce drug laws that make any type of marijuana use and sale illegal, including medical marijuana. While marijuana use or saw for any purpose is still illegal in Maryland, the legislature has decriminalized medical marijuana use, provided that the defendant can prove that he or she has a legitimate need for the drug. The Maryland legislature has also passed a law that will reduce the maximum punishment for the possession of marijuana, and this law will go into effect in October. Both of these laws have signaled to the public that Maryland is becoming closer to decriminalizing all types of marijuana use, but the day when marijuana is actually legal does not appear to be in the near future. In California, and in other established medical marijuana states such as Colorado, the feds are continuing their billion dollar war on drugs. It appears that most federal law enforcement agencies are on board with spending millions to wage a war on marijuana, whether it be the justice department, the DEA, or the US Attorney’s office, but it is not clear why. U.S. prosecutors have argued that state medical marijuana laws are being used as a cover up for running sophisticated drug trafficking ventures out in the open. So what? 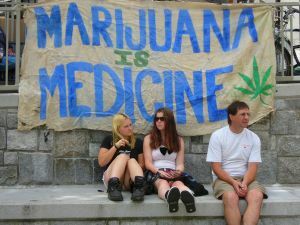 Medical marijuana is taxed and regulated in the states where it is legal. There is no statistical evidence of increased crime rates or increased health concerns in states with prominent medical marijuana programs. The industry also employs thousands, and puts money legitimately into state and local economies. Would the feds rather the money be passing through unregulated drug dealers and foreign drug cartels? The answer appears to be yes, and once again the federal government is guilty of over regulation and over spending of our tax payer dollars. 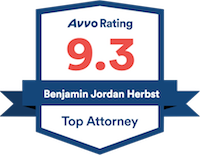 Benjamin Herbst is a Maryland drug lawyer specializing in marijuana possession and marijuana distribution cases. If you have been arrested or ticketed for a drug charge in Baltimore, or anywhere in Maryland, contact Benjamin Herbst at The Herbst Firm for a free consultation.